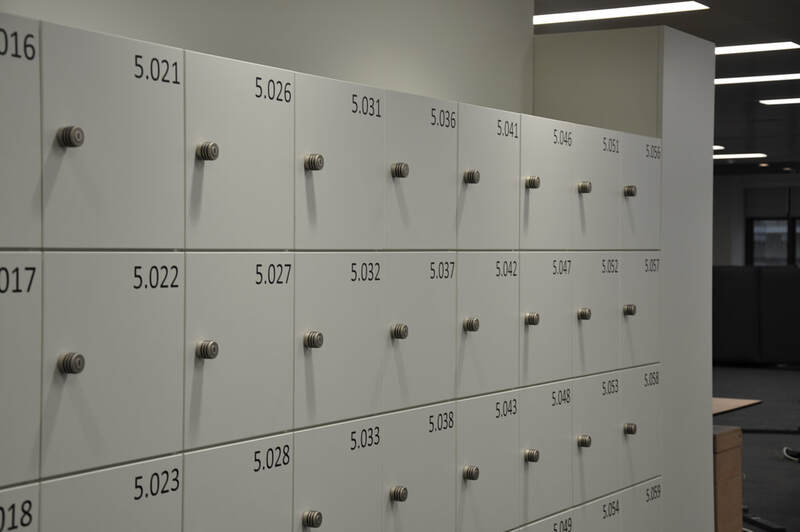 Whether locker cabinet or cloakroom Lockers - lockable storage space plays an increasingly important role in office environments.​ With a variety of construction options, Our Werner Works lockers can be combined for specific applications and office layouts. Thanks to our consistent model upgrading, we can offer individualised design options for added utility and differentiated user solutions. 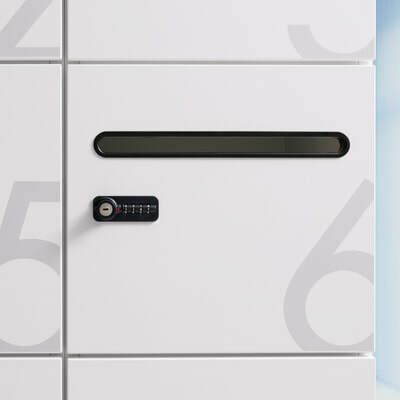 ​Individual secure storage ideal for use in the Office or Hospitality spaces allowing for various lock options. The more flexible we work, the more important are places where we keep our personal belongings. 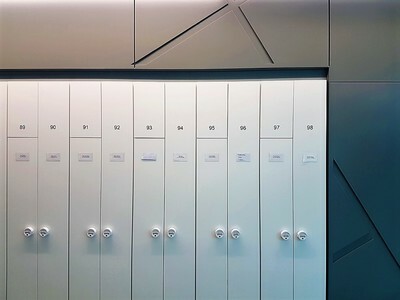 A personal locker offers the opportunity to organise in modern office concepts. 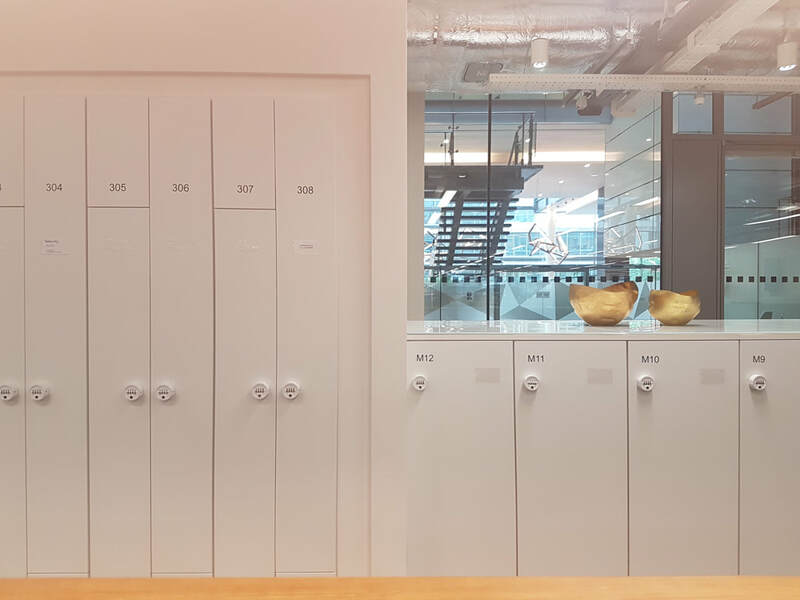 Functional interior arrangement allowing for optimum use of the storage space whilst providing a clear view of the Locker contents. Durability in all Werner Works construction standards allow for long term usage. According to your specification. 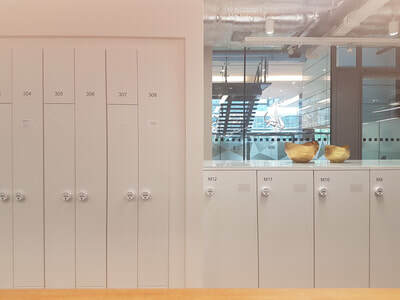 With a wide range of finishes from colours to materials to artwork, Werner Works have mastered the construction of custom storage solutions to meet all specified requirements. How should your locker cabinet look like? In any case as individual as your office concept! Design your unique piece in function and layout. Coloured doors, numbered prints or desired motifs. Different locking options, a letter slot or a charging station for mobile devices are just some of the possible equipment options. In combination with seating elements, the valuables cupboard becomes a place of refuge. 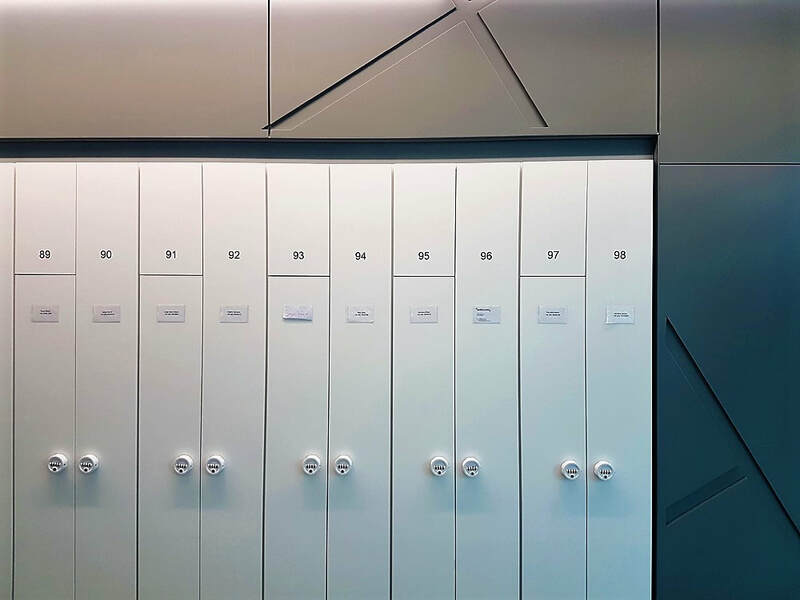 As a central design element in the room, the Lockers can also organize open office structures in interplay with wardrobe elements. The Werner Works Lockers are constructed to securely store small to reasonably large items. 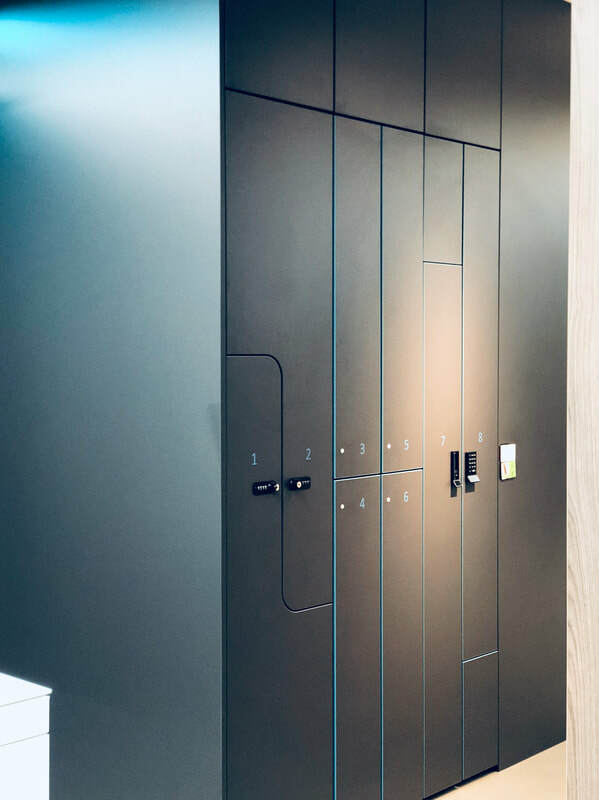 The toughened frame allows for added security and optional lock solutions from digital to analog systems available as an added extra on request. 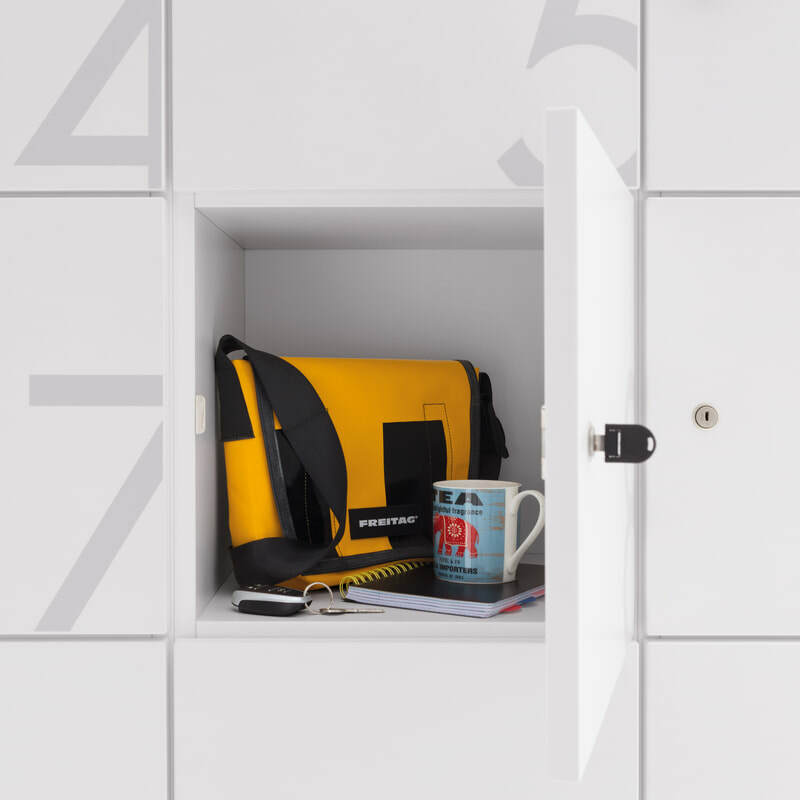 ​Personal mail, sportswear, shoes to change or even the purchases from the lunch break, everything can be optimally stowed and locked in our lockers. For us, quality means creating furniture that impresses in design and function down to the smallest detail. 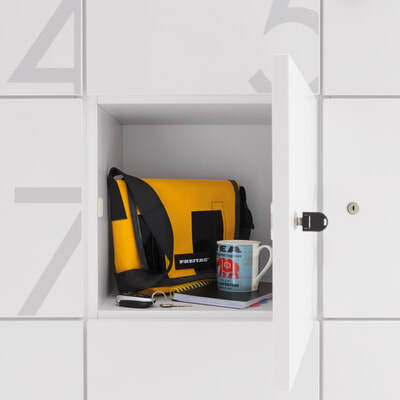 The fronts of the locker cabinets 'lockers' are individually designed on customer request. In addition to the 14 plain and wooden decors, there are also various real wood veneers and lacquer surfaces from the RAL, NCS and Pantone color palettes available. 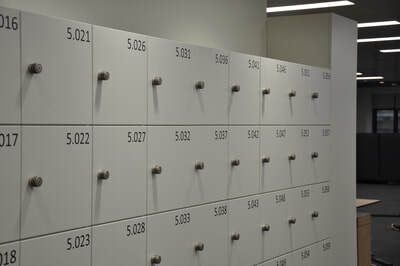 The doors can be provided with numbers or desired motifs. The shelf body is available in the 'Werner Works' standard uni decor. 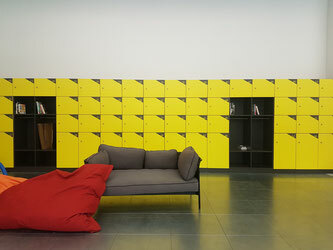 The back panels are also available with acoustic material or fabric. Front, visible back also in matt lacquer and Softtouch Lacquer according to RAL and NCS. Visible back wall also in Acoustic Material in all solid and wooden decors. Visible back also covered with Fabric collection by Camira - Lucia and Blazer.